The ISIC card allows students the world over to prove their official student status and make the most of targeted student benefits and discounts in close to 125,000 locations across almost 130 countries. The card is available in Malta exclusively from NSTS. Enjoy the benefits locally in Malta with discounts on food, retail and entertainment. However your student discounts don’t stop in Malta! Use your ISIC card in other countries as well and get those discounts too, even if you are just going on holiday – the deals still apply! From restaurant discounts through diving to clothes shopping the offers will help you make the most of your academic year. The International Student Identity Card (ISIC) is the only internationally accepted proof of bona fide student status. The card is recognised by universities, academic institutions, student unions, national governments, financial institutions and ministries of education around the world. ISIC was first established in 1953. The card has been endorsed by the United Nations Educational, Scientific and Cultural Organization (UNESCO) since 1968. 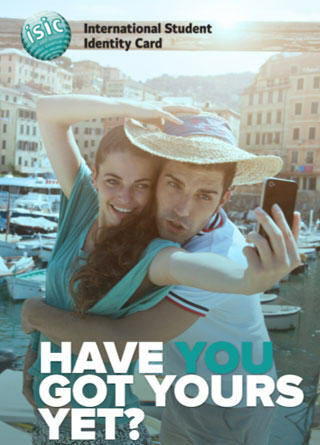 ISIC is exclusively distributed in Malta by NSTS. Over 150,000 available discounts worldwide.